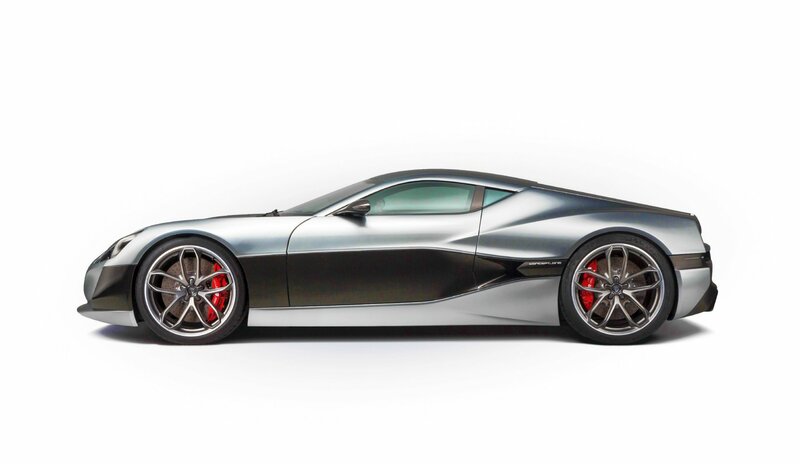 Rimac Automobili unveils the production version of the world’s first all-electric hypercar, the Concept One, at the Geneva Motor Show 2016. The Concept One was born of the idea that an electric powertrain can make a sportscar not only faster but also more adjustable, agile and fun. 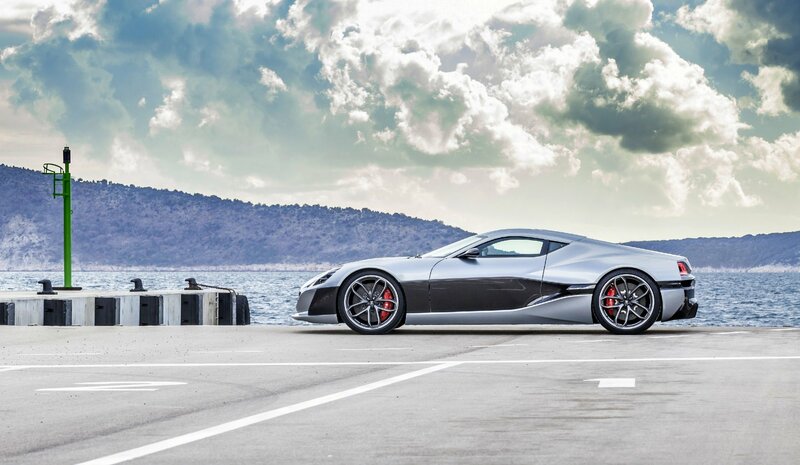 Rimac Automobili was founded to push the limits of technology and electric powertrains - the Concept One combines all the know-how, technology and experience that the company has created since its founding. The Concept One is powered by four extremely powerful permanent magnet electric motors, one for each wheel, located in the centre of both axles. The architecture is radically different compared to traditional combustion engines so a completely new vehicle platform had to be developed to use all the advantages that such a layout brings. In order to reduce weight and make it possible to package such a powerful powertrain system into the chassis, all powertrain systems were developed alongside within the same team to enable a high degree of integration between the components. The result is a perfect weight distribution and extremely low centre of gravity. 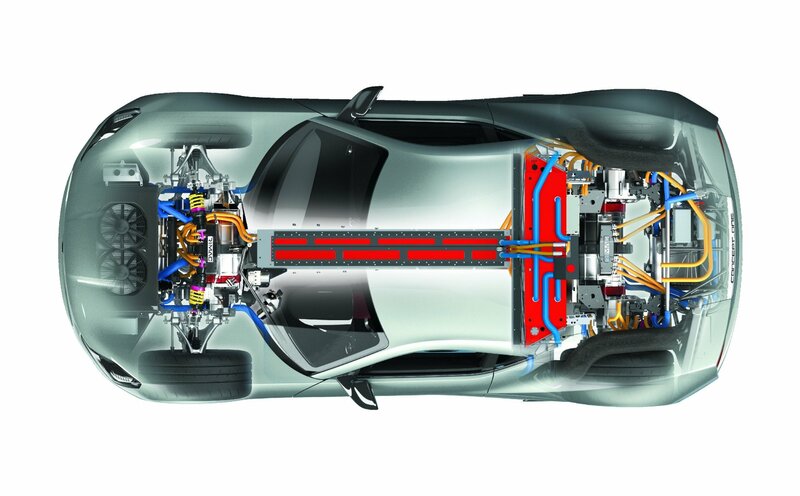 Distributing a total of 800 kW / 1088 HP and 1600 Nm of torque, the Rimac All Wheel Torque Vectoring (R-AWTV) system precisely calculates the optimum torque for each wheel. R-AWTV uses inputs from several precise sensors strategically positioned around the chassis and suspension to calculate the optimal torque distribution between the wheels through complex mathematical models and control algorithms. The system provides unseen flexibility and grip by controlling each motor individually one hundred times per second. This enables the Concept One to accelerate from standstill to 100 km/h in just 2,6 seconds and, to 200 km/h in 6,2 and to 300 km/h in mind-blowing 14,2 seconds. The R-AWTV functions as a traction control, stability control and “electric ABS” system that also commands the 4-wheel regenerative braking of up to 400 kW that works together with the carbon-ceramic braking system. To match the character, innovation excellence and sleek design of the Concept One, a truly bespoke infotainment system was developed and manufactured in-house. 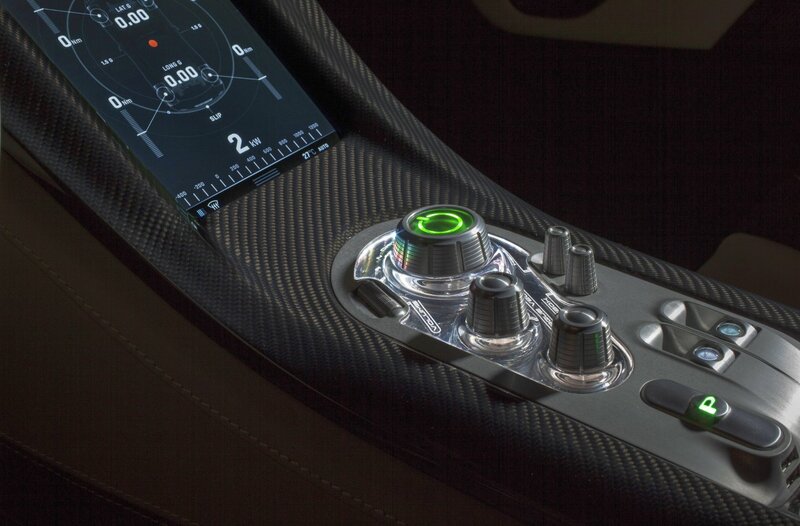 All vehicle dynamics and powertrain functions such as the Rimac All Wheel Torque Vectoring System are controlled through physical buttons, machined from billet aluminium while secondary functions are controlled through the central touch-screen. The system shows an abundance of information through beautifully optimised graphics and gives insights into the Concept One’s nervous system. 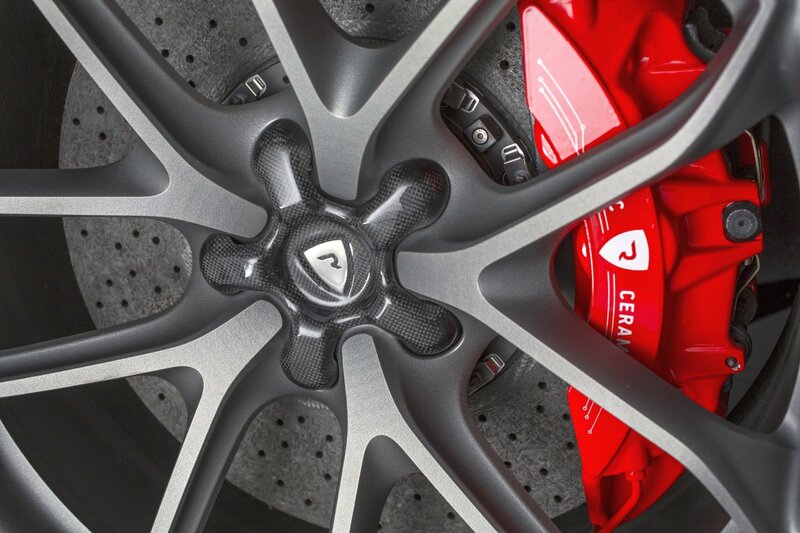 Browsing through the menus on the central display, the driver can change the settings of the Rimac All Wheel Torque Vectoring system, brake force distribution, torque distribution, as well as various other functions. By changing the settings, the driver alternates the nature of the car depending on his preferences, from a calm and neutral setting to a track-oriented setup or the extreme drift mode that helps experienced drivers to have fun on a closed track. From basic energy consumption information via regenerative braking and Rimac All Wheel Torque Vectoring settings to telemetry data - the Rimac Infotainment system gathers information from over 500 different sensors and projects them in beautiful graphics on the central display in real time. The data is stored in the internal memory and sent to the Cloud via high-speed 4G Internet link. The telemetry data can be analysed during or after a lap on the racetrack, via the touch-screen, a PC or smartphone. In the five years of development, the Concept One went through numerous iterations and development phases to fulfil the highest criteria of performance and quality. The Concept One continues the journey that the supercars with conventional drive have started. Similar to today’s supercar classics, which marked an important part in automotive history, the Concept One also began its life on a piece of paper. Starting from the first sketch to the hand-written mathematical theory of the Rimac All Wheel Torque Vectoring system down to the basic functions and the software code which brought it to life. Just like body panels of historical supercar legends were made by precise hits of skilled hands to form sheet metal into beautiful shapes, an almost artistic manual process creates the Concept One’s numerous components. From laying carbon-fibre, machining light alloy parts, tailoring the wiring loom, to the artistically woven interior while carefully finishing each unique part, the Concept One represents the harmony of skills developed throughout the years of car making. “The Concept One represents the perfect symbiosis of modern technology developed here in our company and traditional automotive craftsmanship for which we have the utmost respect. We stay true to the roots of motorsport and old skills of car makers and engineers who created the automotive world which made a profound influence on us when we were children. Every single part of the Concept One has been through a hand-finishing process and is carefully assembled at our facilities. We invest tremendous effort into developing the feeling which this car gives to the driver. Not only in terms of driving characteristic but also the feeling and the sound from the driver's perspective. For example, all controls in the interior are beautifully crafted mechanisms similar to the world’s best watches, with hundreds of individual components, carved from solid blocks of metal. There are no plastic parts; everything the driver touches is carbon, aluminium or Alcantara. We wanted to achieve that solid feeling of classic supercars. The goal was to achieve a true connection between the driver and the machine – and that is only possible with passion, attention to details and craftsmanship. The Concept One is a truly hand-made car." 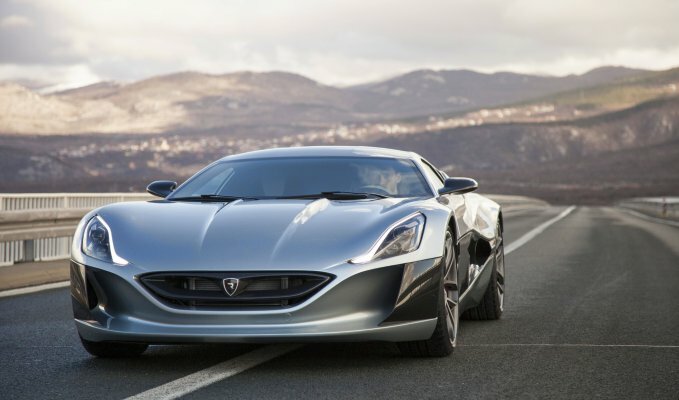 said Mate Rimac. 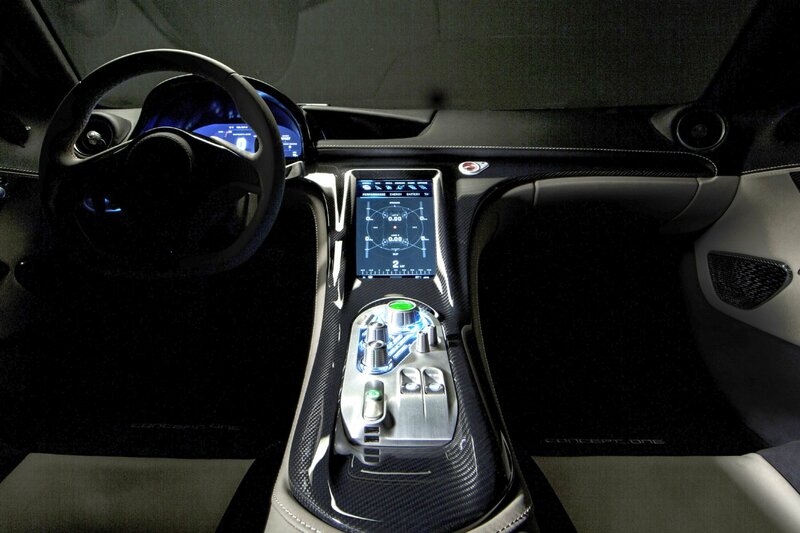 Thousands of metal, electric and carbon fibre parts have to be manufactured, assembled and tested for each Concept One. 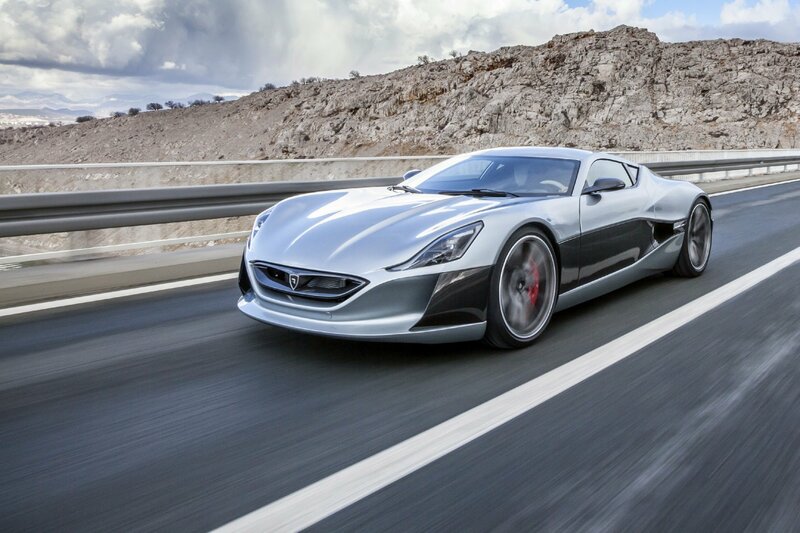 Even the tools, jigs and moulds are designed and produced by Rimac Automobili. Most of the parts start their lives as aluminium blocks or raw bare carbon fabrics, which don't leave the Rimac facilities in Sveta Nedelja before they are assembled into cars. 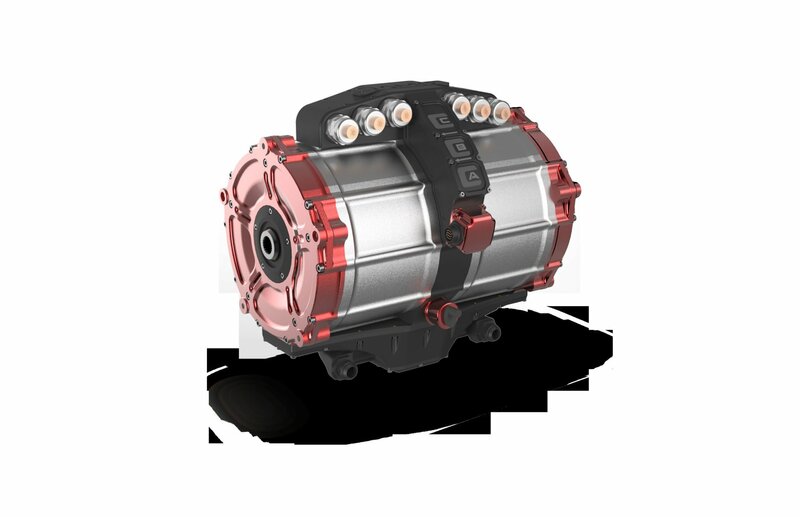 The Concept One’s battery pack is designed to deliver 1000 kW or 1MW of power during acceleration and to absorb 400 kW during braking. A unique liquid thermal management and low-resistance conducting system had to be developed in order to master this challenge. The result is a highly advanced high-performance battery pack that is designed for demanding track- use, high power delivery and safety. 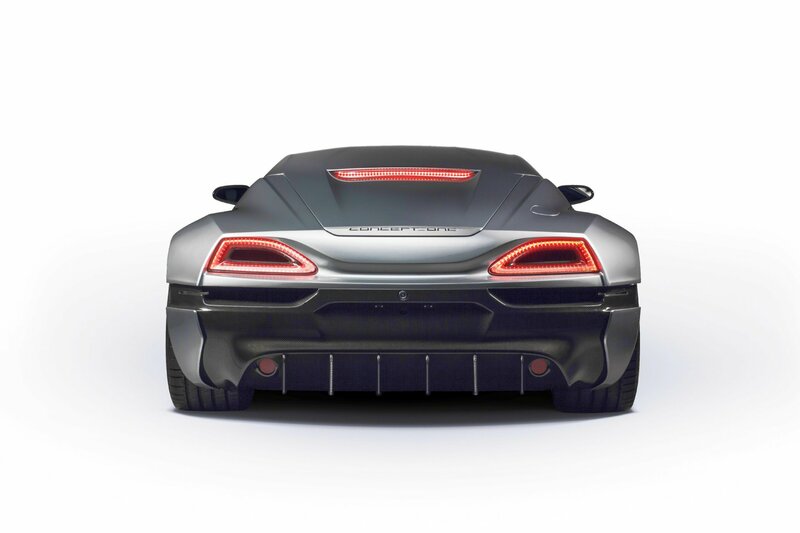 Each of the 8450 battery cells is individually controlled through the in-house developed Rimac Battery Management System, which ensures optimal conditions for a long battery life and long-term performance. 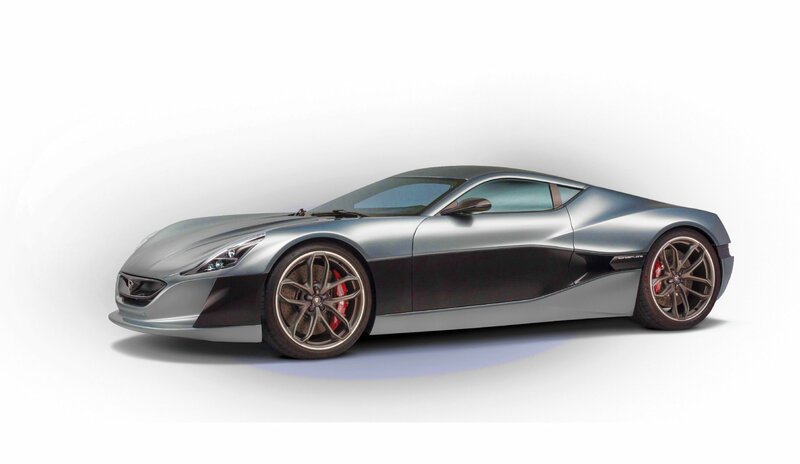 Rimac All Wheel Torque Vectoring system is designed and developed by Rimac Automobili and is currently the only system in the world with this principle available on a production car. The advantages of the R-AWTV over conventional drivetrains was most noticeable on the most demanding hill-climb race in the world – Pikes Peak Hill Climb in Colorado. Nobuhiro Monster Tajima drove the Tajima Rimac e-Runner, a race car developed by Rimac Automobili, on the Pikes Peak International Hill Climb 2015 and finished in front of all combustion engine powered cars. The invaluable experience gathered during the Pikes Peak project has been implemented in the development of the Concept One’s R-AWTV system. The result is a refined, yet powerful system that works in the background to enhance the natural potential of the vehicle. Compared with a conventional powertrain with the four-wheel drive where the torque on each wheel is controlled either by braking through a hydraulic braking system or cutting the power of the engine and thus the power on all four wheels, the Concept One does not have to make any compromises. can also chose to disable regenerative braking and use friction brakes only. The throttle-off regenerative braking function can be adjusted separately. 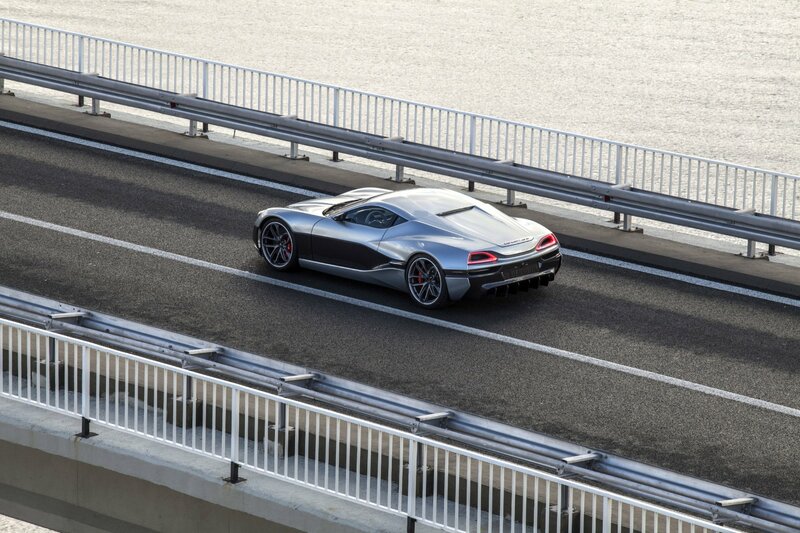 Rimac Automobili is all about innovation and pushing the limits – not about compromises. We wanted to achieve lightning-fast acceleration and a top speed worthy of a true supercar. In order to meet those targets, we had to come up with a unique solution. Each of the four Concept One’s motors is coupled to a proprietary gearbox system. 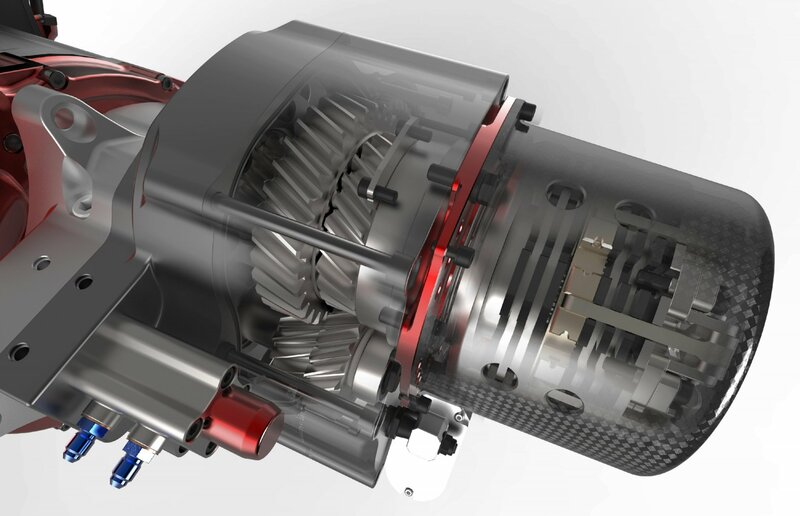 While the front motors feature single-speed gearboxes, the rear motors carry something truly unique – a two-speed double-clutch gearbox on each side. A proprietary carbon fibre double clutch system with Formula 1 clutch-disks enables either extremely fast or smooth and comfortable shifts that are supported by synchronising motor speed for interruption-free shifting. While the dual-speed transmission unlocks new performance levels at any speed, the Concept One can be driven in one gear all the time as it has enough torque to outperform almost any sportscar even if driven in one gear only. The Concept One will be produced in the total of eight units. Rimac Automobili’s philosophy of collaboration is to share ideas and technologies with other manufacturers in various industries to accelerate the shift to a more efficient and better transportation system. 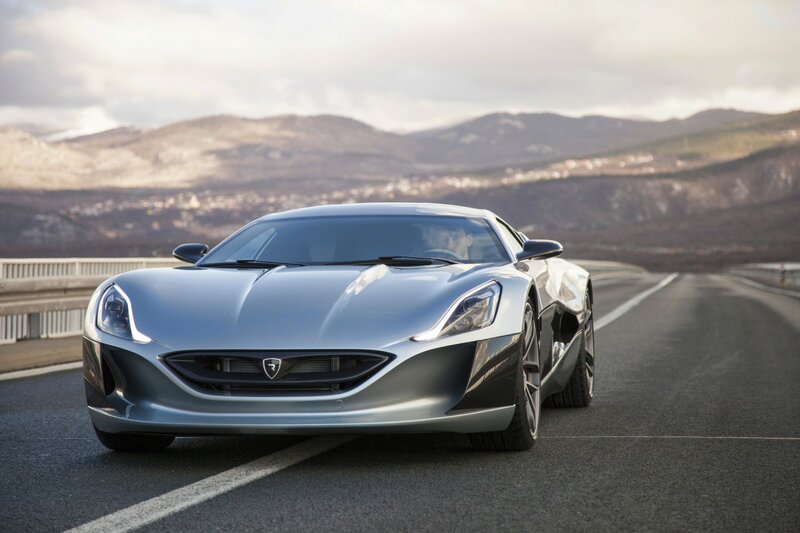 As a showcase of its main business, Rimac Automobili also displayed its technologies and abilities that are available to other companies. A special edition of the Greyp G12S bike, made by Rimac’s sister company Greyp Bikes, was also be shown in Geneva Motor Show next to the Concept_S, an extreme version of the Concept One.